Our VOILAH Art Exhibition – A Month to Remember! Our Assassin's Creed Art Exhibition ended on 25th May and was a huge success! Here's a recap of our best moments. 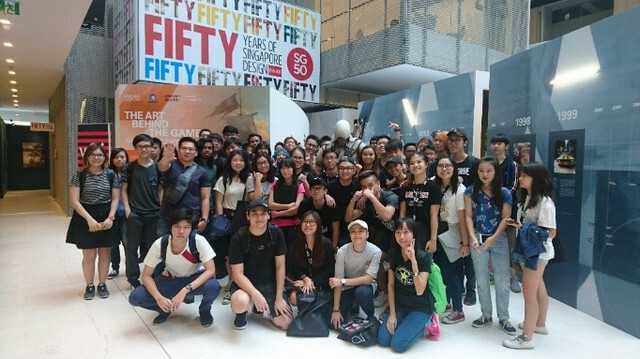 With many fond memories, we concluded our Assassin’s Creed themed art exhibition at National Design Centre on 25th May. Organized in collaboration with VOILAH! French Festival, “The Art Behind the Game: The Ubisoft Experience” presented concept art from Assassin’s Creed IV: Black Flag – and particularly – Ubisoft Singapore’s well-known innovations in naval technology. The exhibition ran for over a month and attracted a large number of concept art enthusiasts and Assassin’s Creed fans. We started the exhibition by getting our developers to personally decorate one of our exhibits – a memory wall of all the fun times we shared as a studio and our well-wishes for each other. It was the perfect way to present our energetic studio culture to our visitors. We also conducted multiple engaging workshops where our very own developers could share their stories, work and passion. Visitors learnt about the fascinating intricacies of the game-making process and camaraderie behind AAA game development. One of our workshops was an eye-opening speed drawing session featuring two of our studio superstars - Senior Art Director Mohamed Gambouz and Associate Art Director Kobe Sek. In another workshop by Chris Early from Ubisoft San Francisco, visitors got to try on the VR headset (a first for some!) and soar through the skies in Eagle Flight. And of course, we didn’t miss the chance to speak to all those dreaming of joining the big, awesome family of Ubisoft Singapore! Recruitment Specialist Amanda Gwa shared about daily life in our large and highly-creative studio, as well as what it takes to make top-notch AAA games. 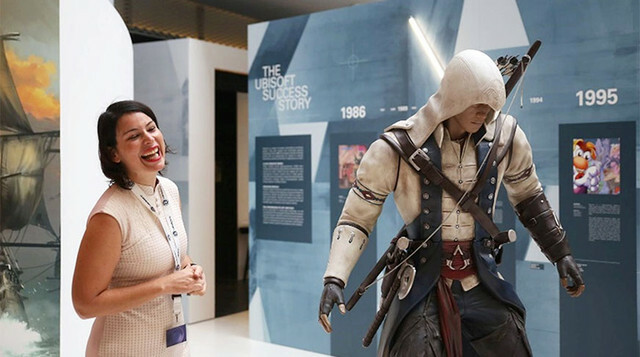 We closed our exhibition with the perfect finale – a chance for fans to meet the big shots behind Assassin’s Creed! Visitors got to meet Sebastian Puel, Arnaud Vaudour, Justin Farren and Hugues Ricour and asked them many questions about the many creative and technical processes employed to engineer these complex, engaging and immensely fun player experiences. We can’t say how touched we are by the overwhelming positive response, the sheer number of people who made their way down to appreciate the work we’re really proud of, and most of all, the love they share with us for creating great games. Thank you for giving us this opportunity to share the magic of game-making with you. We hope that we’ve been able to inspire you in ways big and small and bring you many more exciting gameplay experiences to come!